Brick Town Talk: We All Need Robot Insurance - LEGO Town, Architecture, Building Tips, Inspiration Ideas, and more! This was posted quite awhile ago on Flickr, but up until recently did I finally got around to posting it. Anyways, please check this building out. 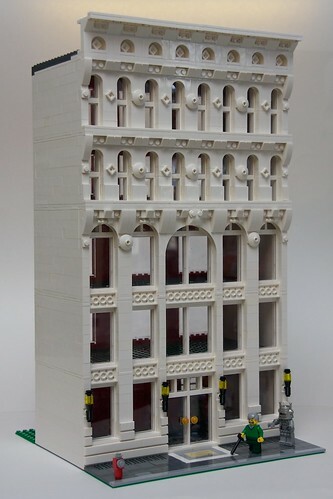 The amount of facade techniques on this thing is enough to speak for itself.